On the GO Game Books make the perfect travel toys! 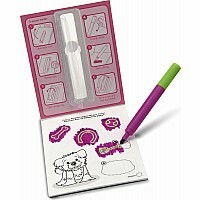 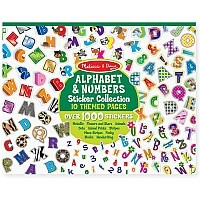 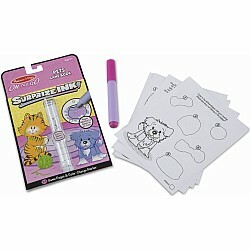 Each of these fun-packed activity books for kids includes an invisible-ink marker that stores right in the front cover. 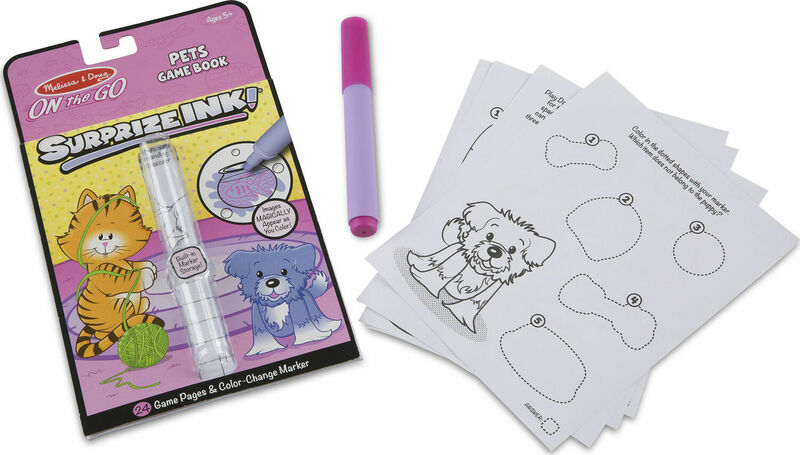 Pop it out to color in scenes, complete crosswords, follow mazes, find hidden pictures and more ... And see Surprise Ink images appear as you color! 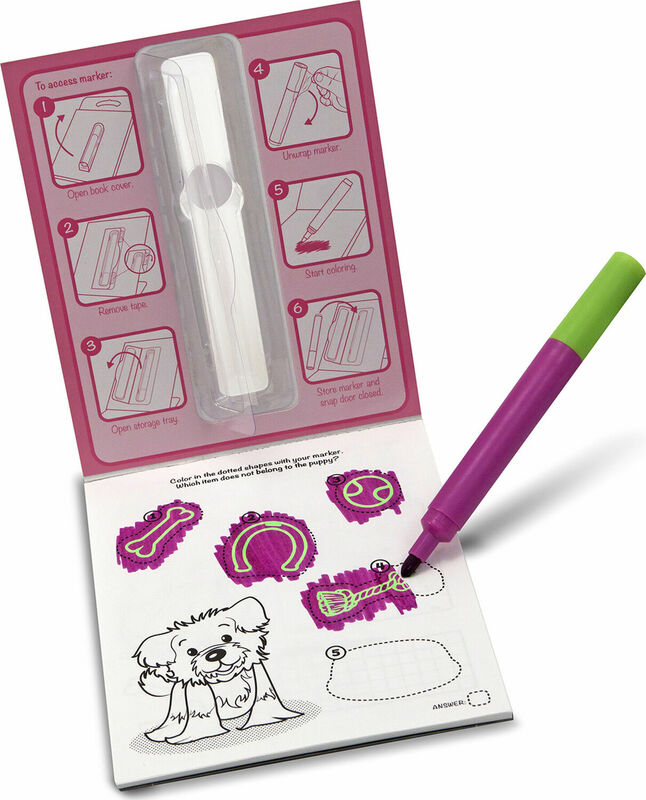 Includes 24 animal-themed pages, bound in a compact tablet format with a rigid back cover to support comfortable laptop coloring.